Adding to home affordability in January, the median home price was down 2% from a year ago, to $154,700. While prices are still declining, foreclosed and other distressed properties, which have been putting downward pressure on home prices, are being moved more efficiently off the market, and default rates on home mortgage payments for the past three years are among the lowest in history. As sales increase with a growing demand for homes, the inventory of properties for sale fell 0.4% to 2.31 million, or a 6.1-month supply at the current sales level. This is down from a 6.4-month supply in December 2011. Historically, a 6-month supply has meant that the housing sector is balanced–favoring neither buyers’ nor sellers’. The most powerful indicator of home affordability, interest rates on mortgage loans, was down again in January. The national average for a 30-year fixed mortgage was 3.92%, down 0.04% from the month before, and down nearly an entire percentage point (0.84%) from a year ago. These historically low rates, coupled with today’s home prices, represent an incredible opportunity for home buyers. Preparing your home for sale can seem daunting, but these tips will help you get the best price in the least amount of time. 2. Determine replacement estimates before listing your home, even if you are not planning on making the replacements yourself. This information can help buyers make informed decisions. 3. Have your warranties ready—especially for home appliances that will stay with the home after the sale. 4. Curb appeal is a crucial factor because it determines first impressions. A poor first impression can cloud their entire opinion about the home. PS If you know someone thinking of making a move, that would appreciate concierge like service, my team and I ALWAYS have time to help! So as these people come to mind, please let me know. We promise to take excellent care of them! Top of the Line Renovation – From floor to ceiling; to the plumbing pipes & wiring; w/extraordinary attention to detail! Complete Kitchen Redesign – Custom cherry cabinets w/accent lighting, granite counters, tile backsplash, finest stainless appliances, Fisher Paykel 2 drawer dishwasher, desk, in & under cabinet lights, pendant & recessed lighting! Butler’s Pantry-2nd oven, wine cooler & tons of extra storage! Elegant Master Retreat – Huge room w/ceiling fan, crown molding & large walk-in closet with shelving system! Marvelous Master Bath – Exquisite tile, jetted tub w/built in bookshelves; his/hers vanities w/custom cabinetry & granite counters; separate, frameless shower & pocket doors! Large Bedrooms –W/crown molding, fans & walk in closets! Elegant 2 Story Foyer – New front door & gleaming hdwds! Breakfast Room – Off kitchen w/ bay window & French door leading to brick patio and private, wooded backyard! Great Room – Renovation opened walls for a HUGE room! Just off kitchen has marble fireplace w/glass doors & custom cherry mantel, hardwood floors, crown molding, recessed lighting & bar! Bright & sunny thanks to walls of windows! Formal Dining Room – Chair rail, crown molding & hdwds! Full Basement –Bedroom, full bath, rec room & living room potential for teen/in-law suite, home theatre, etc. ; you choose! Smooth ceiling, cedar closet, built ins & French door to patio! Two Car Garage – Kitchen level entry, great for unloading! HUGE Lot – Over 1 acre; lush landscaping w/100s of flowering shrubs & trees; a delightful outdoor sanctuary in Spring! Great Location- Minutes to shopping, I-285 & GA 400! If you, or anyone you may know, are interested in viewing this home, just give me a call or send me an email! Your First Home – The objective of this workshop is to advise and consult with first time home­buyers. We would like to help you in understanding today’s real estate market; why it may be better to own than rent; and empower you with the knowledge to make good decisions as you take your first steps toward financial security. We welcome you to join us for this information packed Saturday. A no pressure seminar (leave your checkbook at home). Come with your questions and leave with a wealth of knowledge. If you, or anyone you know, are interested in attending, just let me know so I can reserve your seat. Seminar is held at Keller Williams Realty First Atlanta, 200 Glenridge Point Pkwy, Suite 100, Atlanta, GA 30342. SALES WERE JUMPING IN JANUARY! # Active: 25,441 (Jan 2011) vs 17,366 (Jan 2012) – Much lower than last year! # Pending: 5,276 (Jan 2011) vs 7,115 (Jan 2012) – Substantial increase from the same time last year! Pending Ratio: 17.2% (Jan 2011) vs 29.1% (Jan 2012) – Significant increase, particularly since there are fewer active listings! # Sold (Previous 3 Months): 7,312 (Jan 2011) vs 9,133 (Jan 2012) – Another noteworthy increase! Foreclosure %: 19.5% (Jan 2011) vs 16.2% (Jan 2012) – 3.3% drop from 2011; the foreclosures are flushing out! FMLS SF Detached residences data. Data believed to be accurate, but not warranted. Analysis includes previous listing period data where applicable. © 2012 ChartMaster Services, LLC. For exclusive use of participating Keller Williams Realty offices. 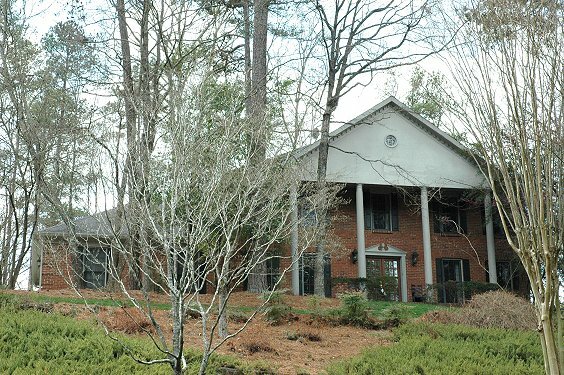 2012 is getting off to a GREAT start for Atlanta Real Estate! Fewer homes are available for sale and more listings are going under contract. Sellers, NOW is the best time to list to take advantage of the smaller inventory and beat the competition to the VERY active buyer pool. Several price ranges have reached or are awfully close to reaching a seller’s market in terms of available inventory. Therefore, NOW is the time to buy a home before prices and interest rates begin trending upward! Ready to seize these amazing opportunities in the Atlanta Real Estate Market? Contact me TODAY for a complimentary, no obligation consultation. If you, or anyone you know, may have a home that would work for these Buyers, just let me know.